AudioKit’s Synth One has received high praise in its iPad guise, and not just because of its excellent sound. This free open-source hybrid analogue/FM poly was created by 100 volunteers, none of whom were paid for their involvement. 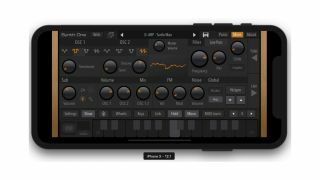 Now iPhone users can get a slice of the action, as Synth One has just been released as a Universal app. There’s also a new soundbank, courtesy of Francis Preve, while AUv3 and MPE support are both on the roadmap. You can download Synth One now on the Apple App Store.